Rear Suspension Dual shocks with 5-way preload adjustment. 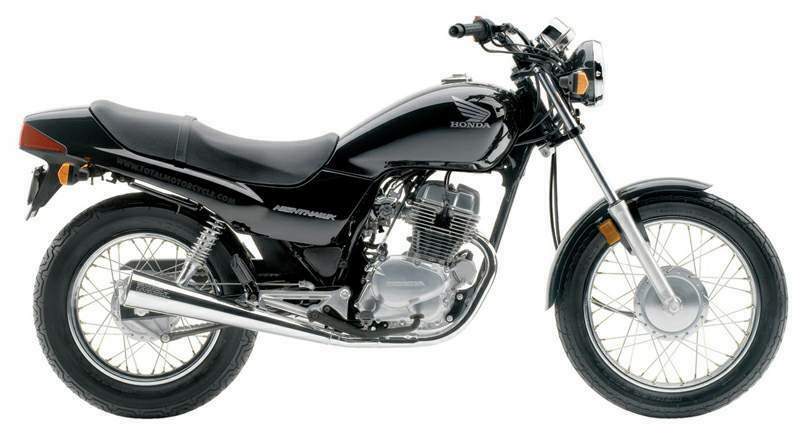 The Honda Nighthawk 250 is a Honda standard motorcycle. 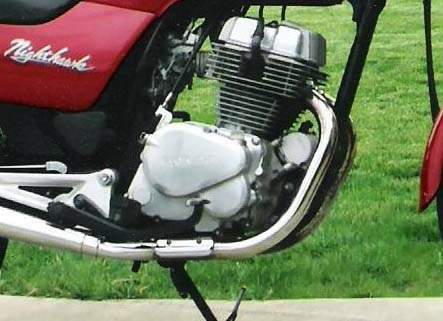 It has a 234 cc (14.3 cu in) air-cooled parallel twin engine. 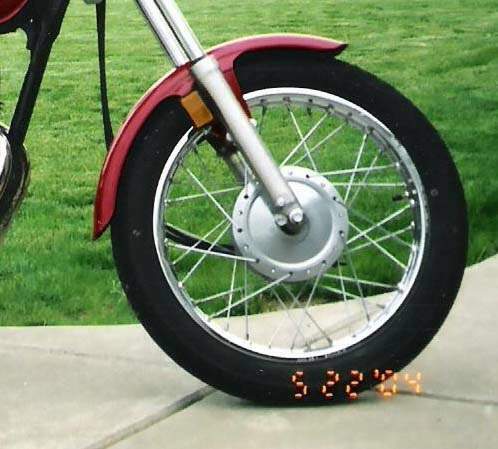 First manufactured in 1982, the motorcycle has changed little except for color. The Nighthawk 250 is essentially a light, maneuverable, inexpensive, economical, and easy to maintain bike. It is often used at Motorcycle Safety Foundation (MSF) motorcycle training. Its small size and low seat make it a popular model for riders of smaller stature. It has drum brakes and spoked wheels at front and rear, though front disc brakes and alloy wheels are on Australian, U.K. and Japanese models.